So the first week of NaNoWriMo is over and we’re into week two. As you can probably tell from my NaNo counter on the right, I’ve not exactly got very far… 4,041 words to be exact. Had I planned to complete the 50,000 challenge (my plan is only ever to write as much as I can), so far I should have written 15,000 words. Realistically, I would have liked to have written about 8,000, considering I’d planned so much better this year. But I just can’t write! I can’t seem to get into the flow of the narrative, to actually feel what I’m writing. What I’ve written so far seems to be more like a detailed précis than a narrative, which doesn’t exactly motivate you to write the rest of the novel. 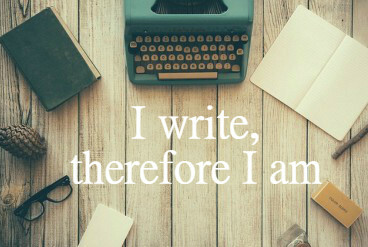 I’ve tried writing at home, at work during my lunch hour, even sat in a secluded cafe with tea and cake (okay, I lie, it was chips and beans – but whatever gets you going?). All I can conclude is that my head is not in the right place at the moment. But don’t worry – I’m not giving up on NaNoWriMo that quickly, or on my novel. Instead of trying to write narrative, I’m going to continue planning the novel in detail and use that as my word count. I’m also planning to write character profiles for each character in the story, which will help me warm to each of them. In Writing as a Sacred Path, the author encourages the reader to write in detail about the characters, even write scenes which might not be part of the novel just so that you can get to know the character better. Magical things happen when you begin with “what if?” and who knows, it might transform your novel into something more wonderful. Right now, I’m just hoping for a good plan and lots of detail so that when I am finally more emotionally attached to the story, I can just write and not worry about details. So, here we go. Take 2.